Who is the Greatest Killer in Horror Film History? In Pink Floyd’s idiosyncratic song ‘Bike’ Syd Barrett sings, “I’ve got a bike. You can ride it if you like. 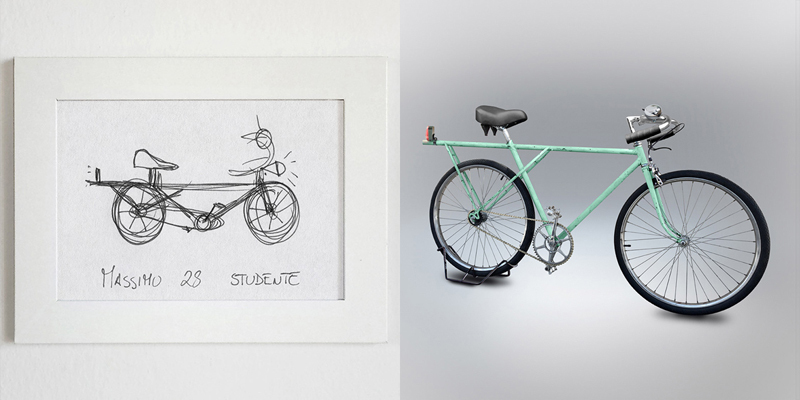 It’s got a basket, a bell that rings and things to make it look good.” Everyone has an idea of the constituent components of a bike to the extent that they think they know what one looks like. But how clear an idea of the actual mechanics of a bike do you have? 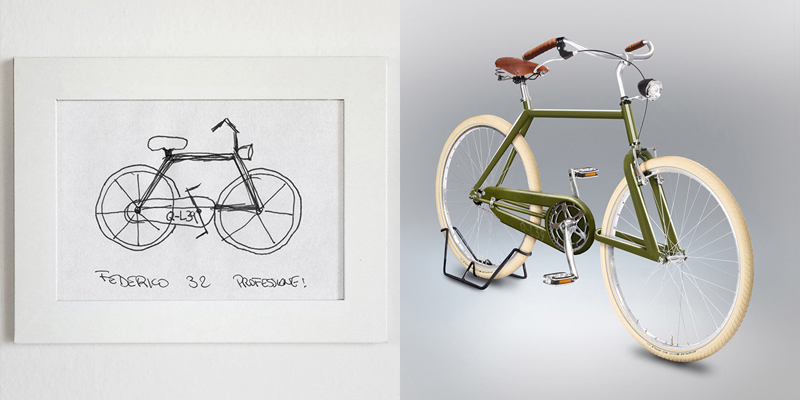 Designer Gianluca Gimini took to the streets in 2009 and asked passers-by to draw a picture of a bicycle from memory. 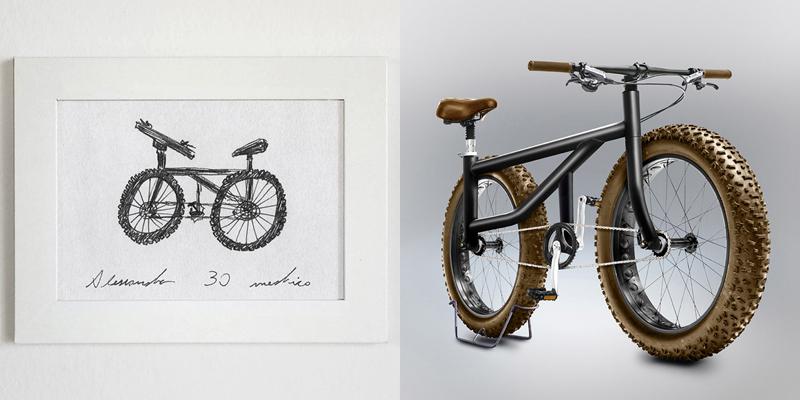 He then rendered the sketches digitally to show what the bikes would look like if actually built, thus highlighting the bizarre mechanics that exist in our minds. People’s impressions vary wildly, and rendering the artwork into a realistic outcome highlights unusual details, in much the same way as when IKEA made soft toys from children’s drawings. It is a manifestation of a dream, almost. The idea is fleshed out and comes into contrast with the more formulaic world of everyday objects. Gimini has so far collected 386 drawings from people of all ages and professions, showing the gulf between assumptions of what we know and what we really know, but also highlighting the power of the imagination. Wouldn’t it be great to see one of these unique designs brought to life sometime in the not-too-distant future? Providing it works, of course. All images courtesy of Gianluca Gimini: Velocipedia.